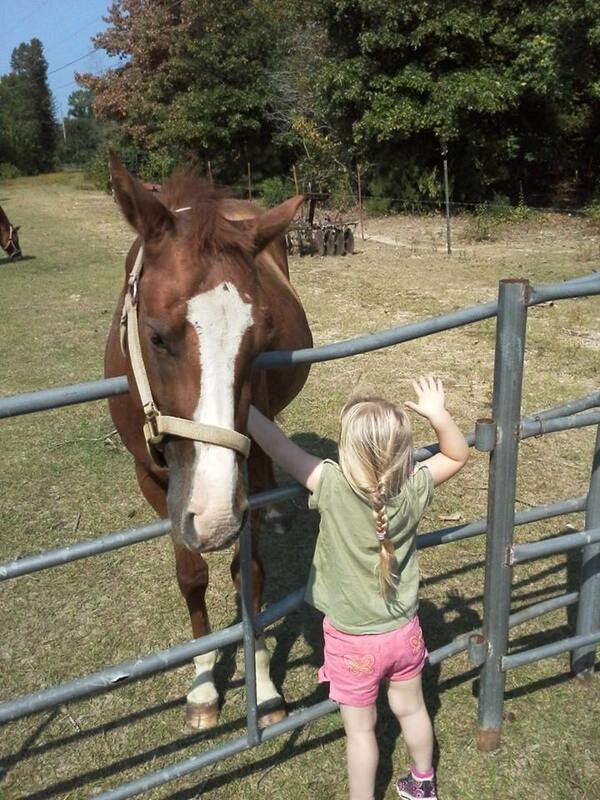 Since I’ve been having my daughter do hippotherapy (horseback riding therapy), she’s been more calm and relaxed around animals to the point of getting close enough to pet them. This is not just horses, but it is also cats and dogs. 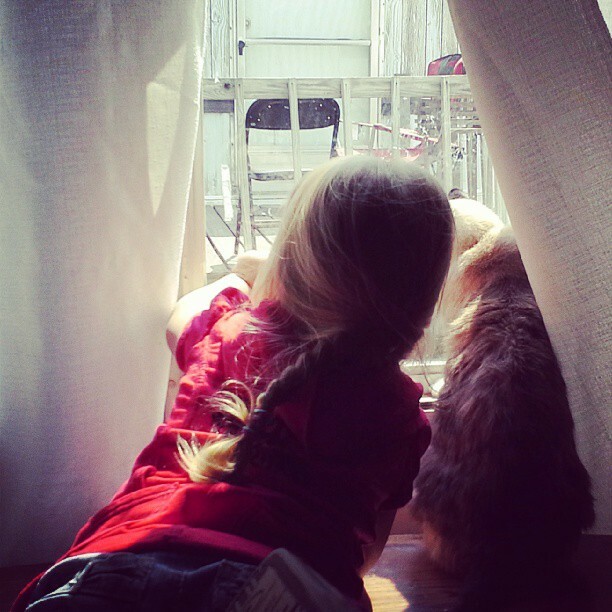 We don’t have pets here at home because my grandmother doesn’t want them, so animals are not a part of my daughter’s natural environment. But since I’ve been taking her horseback riding regularly, she’s becoming accustomed to animals and is even seeing that they are actually okay to be near. Normally she would start screaming excitedly and try to get as far away from whatever animal she sees. If I am holding her she will try to climb up me to prevent whatever animal from jumping up and touching her. 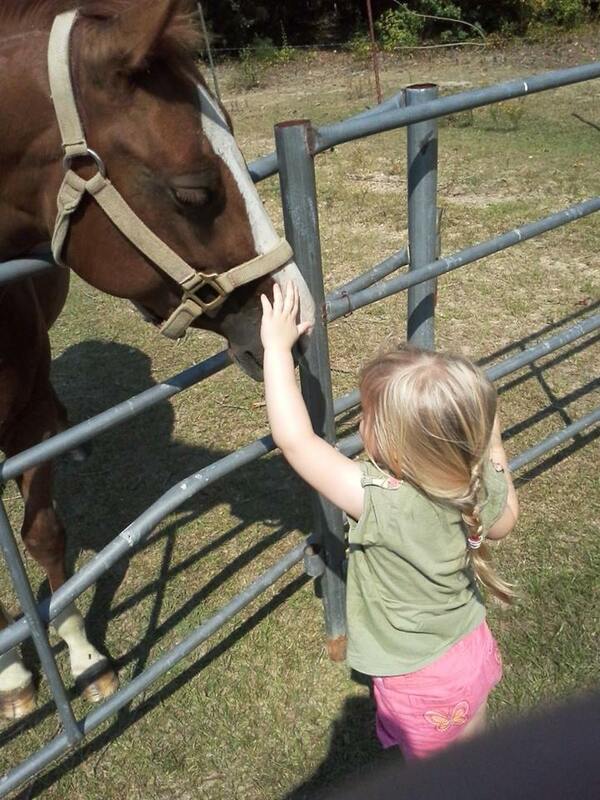 This weekend I watched her walk up to a horse and pet it without me saying anything to her. She did the same to a couple of cats. One of my parents cats was sitting at a window, looking outside, my daughter sits right next to him and looks outside with him. 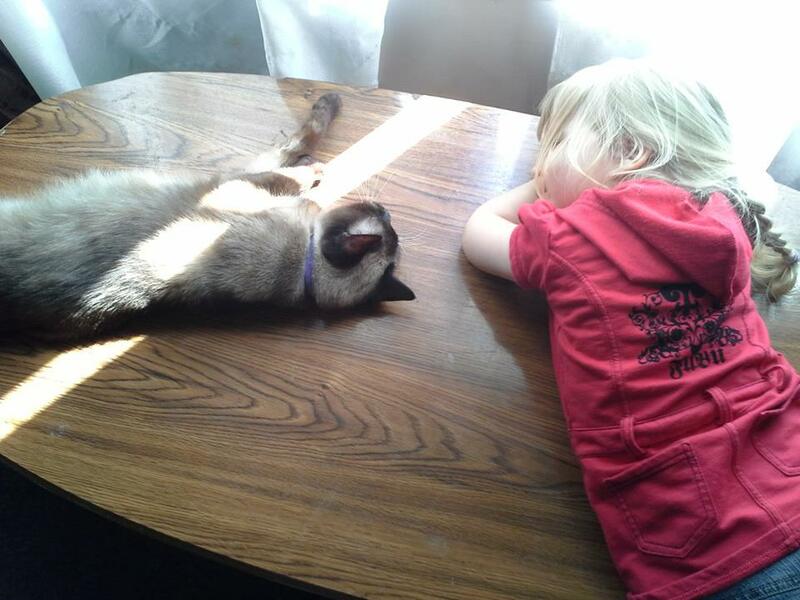 My daughter even laid on a coffee table next to my sister’s cat and let the cat stretch out towards her. To some this may seem odd that I am even talking about it, but to me these are the small steps that I have to take in an every day life with an Autistic child. Small steps are even considered giant leaps, depending on what the situation is. Today, I was approached by one of my daughter’s teachers on how to help my daughter in some of her meltdowns. I was so happy that she had asked me, because I know how she is at home, she is going to be the same way at school. There’s a long list of things I have to instruct people on how to deal with my daughter, that are in her every day life, such as daycare. It’s good to see that she has people at her daycare that are willing to help my daughter and are willing to work with her. I, as a mom and as a person who was bullied at home and at school, am concerned about my daughter’s future when she starts school. I do try my best to have her ready, but it’s the small steps that are necessary in getting there. This entry was posted in Autism, Blog, My daughter and tagged animals, Autism, bulling in school, children, daycare, Equestrianism, family, hippotherapy, horseback riding therapy, horses, kids, my daughter, Natural environment, parents, pets, single mom, single parents, special needs children, toddlers on September 10, 2013 by JenniferNAdams.